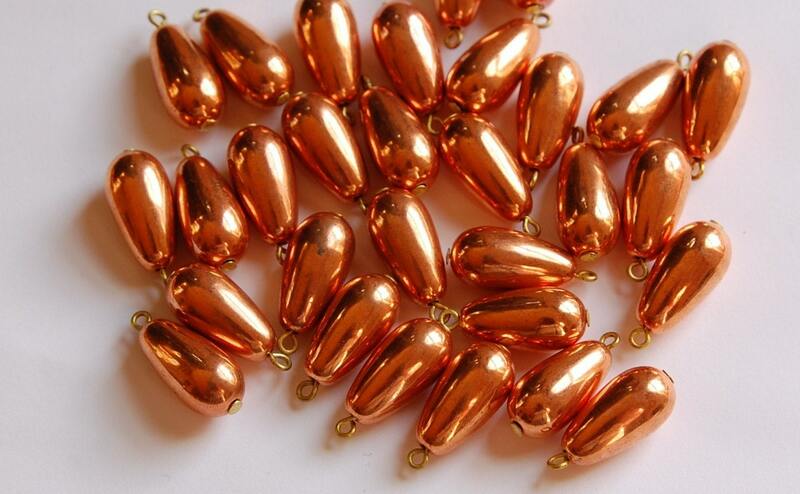 These are vintage copper plated acrylic teardrop beads. They have an attached loop. These are vintage and the finish does show some aging. These measure 20mm x 8mm. You will receive 6 of these. So much fun with these! These will make some great earrings! 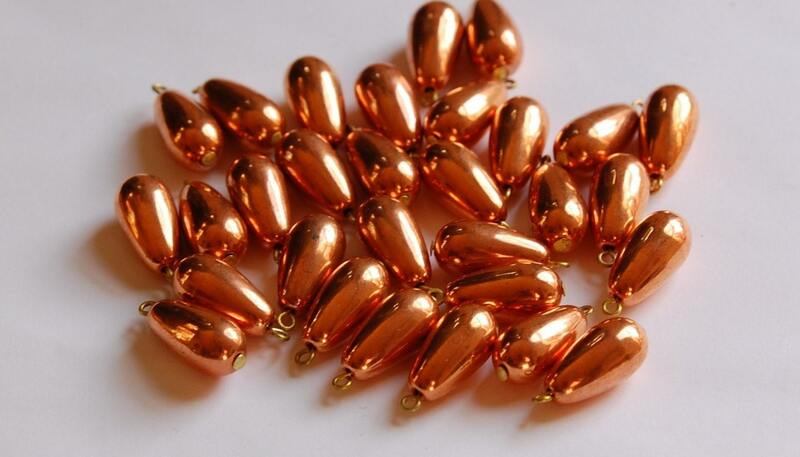 Lovely copper charms! They were shipped quickly. Very Yummy! These are real pretty and this order arrived very promptly.